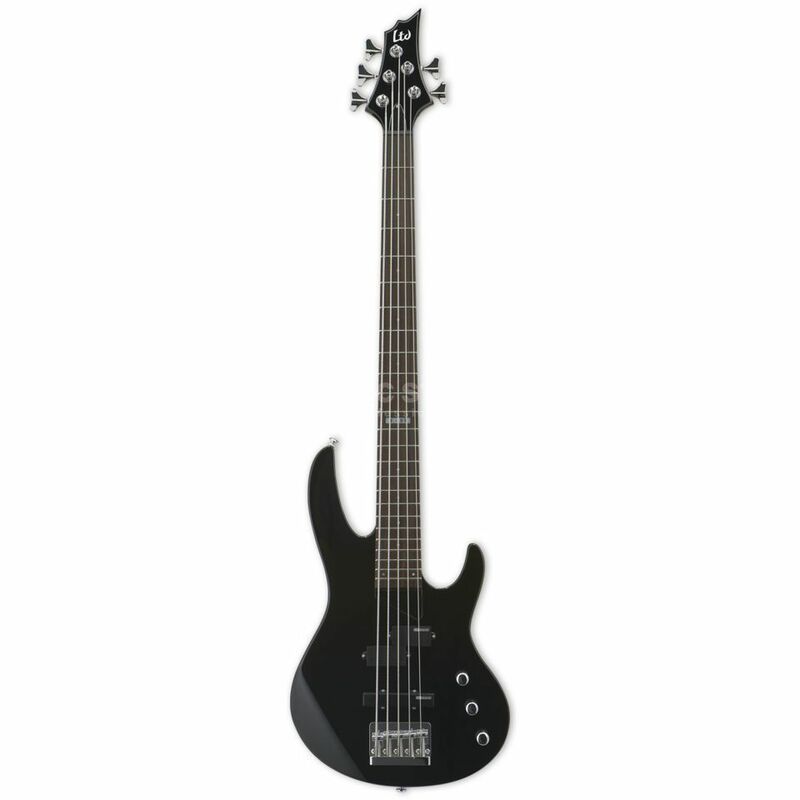 The ESP Guitars B 55 5-String Bass Guitar, Black. Affordable, electric bass with P and J-style pickups. The ESP Guitars B 55 is a solid body, 5-string electric bass guitar with good playability at a great price. The Ltd Standard Basses Series B-55 BLK is loaded with both P and J-style pickups, making it a very versatile instrument. The LDJ is a Deluxe J single-coil pickup with an Alnico magnet designed for use in the bridge-position. It excels in a moderate output with a tight high end. The LDP is a Deluxe P single-coil pickup with an Alnico magnet designed for use in the neck position. Its moderate output provides fullness and punchy mids. The smooth, thin U-shaped maple neck with rosewood fingerboard on an agathis sculpted body plays well and looks great. Other B55 features include dot inlays, 24 xtra jumbo frets, ESP-LTD tuners and an ESP DB-5 bridge. The B-55 is an affordable 5-string bass with versatile tones and easy playability.